Up to $2,000.00 REWARD is being offered for information that leads to an arrest. Circumstances of the Case: On the evening of October 26, 2016, Rochester Borough Police were called to 767 Riverview Terrace Apt. 15. There, they found the victim, Lisa Stover, with multiple bludgeon type gun wounds to the left side of her body. Circumstances of the Case: James Little was found lying dead around 3:00 p.m. from multiple gunshot wounds in the middle of Main Street by two people who were passing by the area. 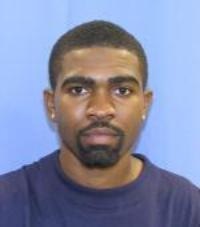 Circumstances of the Case: Around 1:45 p.m. Will Motton was sitting in a vehicle at the intersection of Wykes Street and Davis Street in Aliquippa, Pennsylvania when he was approached by multiple unknown gunmen. Will Motton was shot and then tried to run down Wykes Street but was followed by one of the gunmen who continued firing. Motton died later in the day from his wounds. Circumstances of the Case: Harmony Township Police Department responded to a report of a home invasion at 2:30 a.m.. The victim, Anna Rocknick (age 94) reported that a tall white male assaulted her in her home. Officers had Rocknick transported to the hospital for treatment of her injuries where she died several hours later. The Harmony Township Police have verified that her home was broken into and ransacked. The Beaver County Detective Bureau and the Pennsylvania State Police are assisting the Harmony Township Police with the investigation. 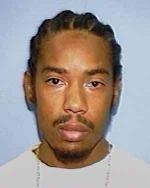 Circumstances of the Case: Marvin Steals was last seen at the Champagne Lounge on Franklin Avenue in Aliquippa during the early morning hours of January 29. His body was discovered along Temple Road in Center Township, Pennsylvania. Marvin Steals had been shot and killed. Circumstances of the Case: Aliquippa Police received a complaint of a domestic dispute taking place at 161 Spring Street. This complaint was made by a male's voice claiming to be a "Bob Smith." Officers arrived on scene and observed a Caucasian male through the glass of the front door lying motionless in the living room. The male was observed having a pillow over his face. After making several unsuccessful attempts of trying to get this male subjects attention, officers proceeded to gain entry into the residence by breaking the glass. Once inside officers discovered that the male was deceased. Circumstances of the Case: Rochester Borough Police Department investigated a possible abduction of a 13 year old girl, Sarah Boehm. The police were unable to identify any suspects at the time. On July 15, 1994, Rochester Twp. Police Department investigated a report of a missing person/runaway (Sarah Boehm) age 14. The investigation discovered that Sarah had left her house around 11pm on July 14, 1994 to stay at her girlfriends house a few blocks away. The investigation revealed that Sarah's girlfriend was not expecting her, and no arrangements were made to stay overnight. Sarah was reported to the National Center for Missing and Exploited Children and the case kept active. The Beaver County Detective Bureau joined in on the search. Detectives learned that that there were badly decomposed and still unidentified bodily remains found in Portage County, Ohio. These remains had been discovered on November 4, 1994 near Berlin Reservoir. The FBI assisted Detectives from both Beaver County and Portage Ohio. The remains were identified by DNA comparison from Sarah's mother. There were three other bodies found near Berlin Reservoir between Nobember 1993 and August 1994. All of the victims have been identified, but none of the cases solved. Circumstances of the Case: Carol Sue Bradley was working in what was then called Highland Meadows General Store along Route 30 when someone entered the store in what police believe was an armed robbery. No one knows exactly what transpired, but when a customer entered the store about 11 a.m. she found Bradley lying on the floor bleeding. Police learned Bradley had been shot twice, once in the chest and the back of the head. She was alive when she was found, but police said she died while being taken to the hospital. Police had little to go on, but a witness provided police with a crucial tip: He saw an early ‘70s model, light green Ford Maverick speeding through the area with eventually leads police to their main suspect, a man from West Virginia named Kevin Dorisio. Dorisio was the perpetrator of a similar robbery that occurred just days before the robbery at Highland Meadows. Dorisio also bought dark green paint and hand-painted his car, an early ‘70s model Ford Maverick, right after the robbery in Beaver County. Circumstances of the Case: Maria Chiacco, 76, of Aliquippa was found beaten to death inside her Jarvis Street home. Her home was ransacked and stolen was jewelry, cash and a gun. 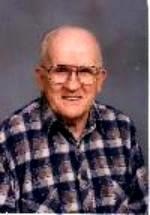 Circumstance of the Case: George Anderson (A.K.A Cowboy) was reported missing on December 21, 1982. 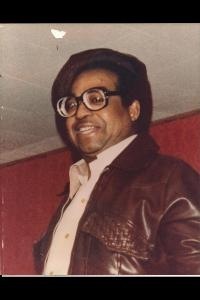 He was found in Industry floating in the Ohio River, North Shore, by a barge crew on April 30, 1983. George Anderson was still wearing clothing with ropes and and a weight still tied to his legs. Circumstances of the Case: David Legge was found dangling from the Lynx Bridge on Hookstown Grade Road with a gun shot wound. The victims van was found in Ambridge, PA. 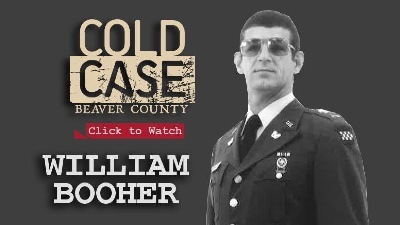 Circumstances of the case: On August 28, 1981 William “Bill” Booher was spotted by a passerby in his car stopped in the roadway on Sohn Road, Hopewell. They contacted the Hopewell Police Department. 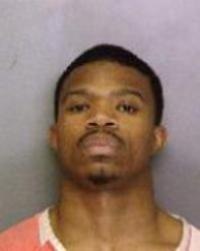 Police find Booher alone in the car with a gunshot wound to his chest. Booher was a school teacher at Hopewell who was completing a one year Military absence. 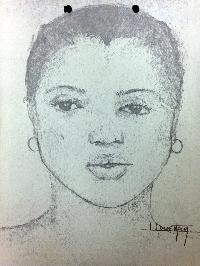 Circumstance of the Case: The body of Patrica Neil Randolph (A.K.A Baby Doll) was discovered on Saturday November 19, 1977 on the berm of Anderson Road near the intersection with Route 51. An autopsy was conducted that determined that the manner of death was strangulation. 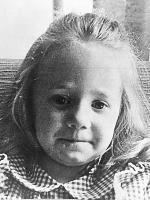 Five-year-old Stephanie Boller left her Beaver Falls home on January 8, 1977 and walked to a friend's house. 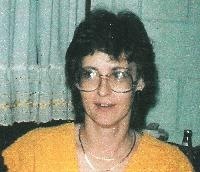 Her mother, Robin Sell, reported Stephanie missing that evening. Sell told police that she had been gone from her home from 3 to 7 p.m. and when she returned home, she couldn't find her daughter. No one saw anything to give police a clue as to where Stephanie had gone, and a massive search party formed to throughout the neighborhood. For months, police pursued leads, but none of them proved worthwhile. Then, on November 6, 1977, a men walking through Brady's Run Park spotted what appeared to be human remains. Police determined the men had found Stephanie. Circumstance of the Case: A live in roommate of John Cowling stated that he received a disturbing phone call which resulted in John hanging up the phone. The roommate said that around 03:30 hours John's dogs began to bark. A vehicle approached the residence. The roomate stated that he heard nothing more than the vehicle's car door shut. The roommate said that he did eventually get up to check on John and discovered his body outside of the residence. 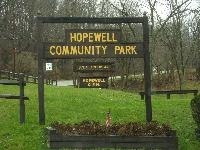 Circumstances of the Case: Hopewell Township Police and the Beaver County Detective Bureau are investigating a cold case homicide of a 23 year old female identified as Annette Tokarz. The body of Annette Tokarz was discovered in a shallow creek in Lakewood Park (Hopewell Township PA). Circumstances of the Case: The body of 35 year old Paul Russell was found laying in the parking lot of Pennsylvania Railroad near the intersection of Harrison Street and New York Avenue. He had been beaten to death and left in the weeds. Circumstances of the Case: The incident occurred at the Red Lion Inn White Township during a fight. Richard later died at Providence Hospital in Beaver Falls. His death was due to a stab wound which penetrated his heart. Circumstances of the Case: 15 year old Rebecca "Becky" Triska was last seen September 19 after leaving a teen dance at 11:30pm. She was seen by witnesses in the company of an older man in a car at a Harmony Township restaurant. 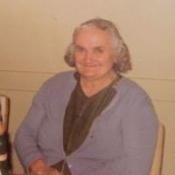 Police questioned a man named Frank Senk in connection to her disappearance. Investigators said that when they searched Senk's car, they found red hair that they thought matched those taken for comparison from Triska's hairbrush. They also found blood stains in the car. The hairs were tested chemically and inspected visually, and while investigators said they thought the hair was a match, they couldn't conclusively say so because of the scientific limitations of the time, as sophisticated DNA testing wasn't available. Senk stated that he had three nieces with red hair and the blood was his. With no body and not enough evidence, Senk was never released and was never charged with Triska's murder. 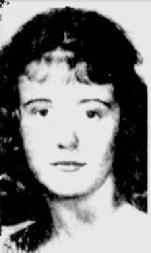 Rebecca Ann Triska was declared dead in 1967. 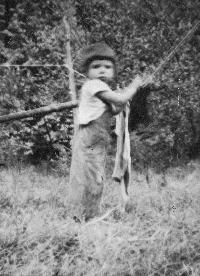 Circumstances of the Case: March 21 1956, a warm and sunny morning, 4 year old Patty Patton was playing in the yard outside of her home. Four hours later, she was found dead just 1,000 feet from her home. From the time she left home, the only person to admit seeing her alive is neighbor 14 year old Jack Pumphrey who was home from school that afternoon. Around 2:00pm, a neighbor and family friend found Patty's body under a tree in a heavily brushed and wooded area about a half mile away from the home.